#268. 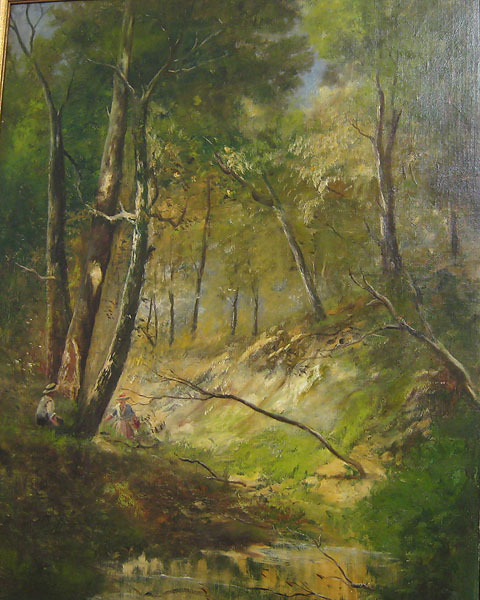 Young Man and Woman in Forest. 32 x 25.5, oil on canvas relined. "Gilbert Munger" . Purchased as part of a frame shop inventory in about 1990 by Hudson River Gallery & Conservators. Offered by them in 2010 for $8,000. 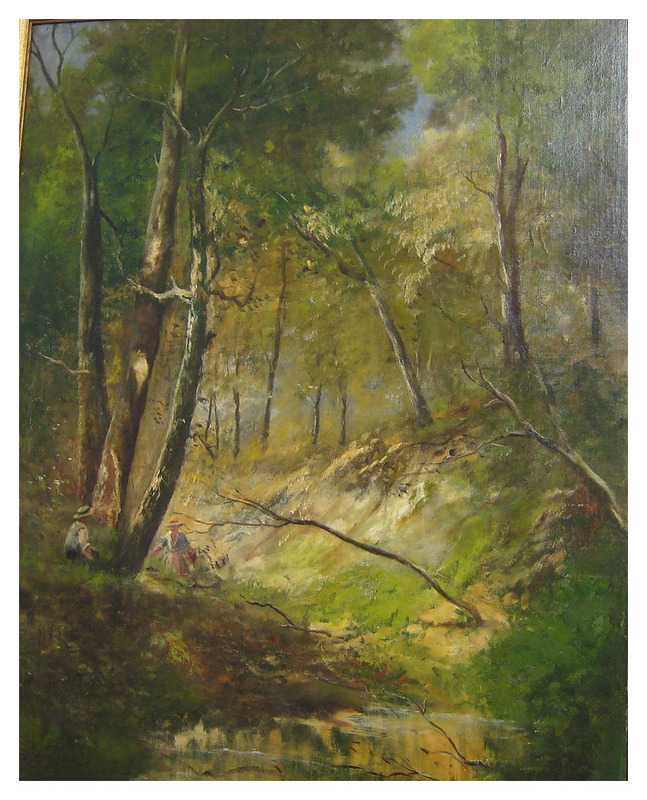 The style is similar to the other paintings of birch trees by Munger (#220, #285, #297, and #298), which suggests that this work also depicts a scene in England. But some of them might have a French locale. Image from email provided by Hudson River Gallery & Conservators.